What sizd is the board? What sort of surfing do you like? Just got a 8,3 yob carbon one of the new surf series. 107 litre. Haven't had a chance to test yet, but other board I have had for a while is a 8,10 prowave 119, so dropping some litres and hopefully it's doable at 90kg. - a thruster setup: all fins of the same size, and you play with the rear fin position to adjust drive/looseness to your liking. The bread-n-butter of modern surfing. - traditional 2+1: a bigger center fin (6" to 8") with smaller fronts with a 80/20, 70/30, or even 50/50 profile: aka sidebites or quad rears. Gives you the more positive grip feeling of a single, with the sidebites adding hold and acceleration when turning, but letting the central fin dominate the handling. - bigger sides, with a smaller center. 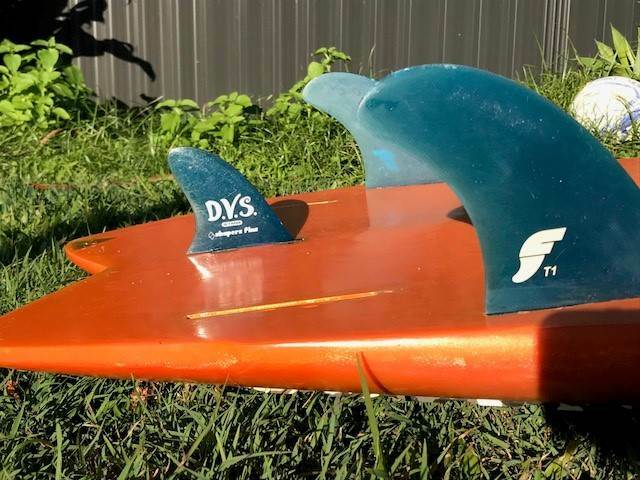 You can go with a small difference (Al Merrick or Harley Ingleby sets), or a big one (Twin fins+ trailer sets). More drive at the bottom and acceleration, but still quite loose on top turns. I prefer the last one, but it is because I have a shortboard culture and want something lively. A lot of people like the second one, which feels more reliable. I agree with what Colas said with the 3 set ups plus add the quads into the mix if you have the boxes. ATM I am using MR twin fronts or future T1 with small centre trailer 90mm and am enjoying the speed , no drag of a large centre fin plus super loose. Definitely super lose coming off the top. This board is 7'8 . I like smaller quad rears such as controller rears with Pancho Sullivan fronts in the quad style. Only tend to use larger centre and smaller sides on my 10 foot nose rider. Try changing around what fins you have and have fun swapping them around. Certainly cheaper option than buying a new board. Or swap fins with mates till you find a setup you like. Cheers for the replys guys. I am leading to larger side fins with a smaller center. 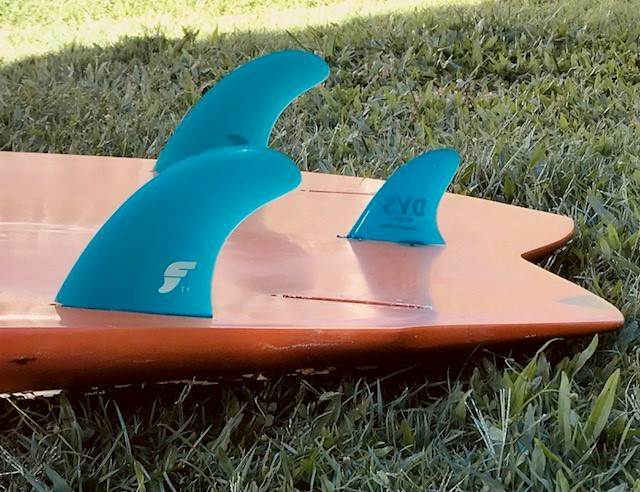 The FCS adapter to put FCS fins in US Box work quite well, and i a good solution for the thruster or larger side fins with a smaller center setup. Cheers Colas, that is a good idea then I can use the fins I have ???? Hey Frothn, I ride the 8'6" YOB SP with the Shapers S9 sides and the S7 centre fin. Ive found this setup to be really useful in a wide range of conditions, and by moving the centre fin, you can really change the feel of the board. I've been experimenting with S5 and smaller centre fins and things are getting very interesting ( very loose but dropping a bit of drive). So S9 sides and even S9 centre is a good start, and then mix it up from there. Guys like Tim C and Larry surf the YOB SP in a variety of good surf conditions a lot. Tim surfs with fairly small fins ( all around S7 or S5), whilst Larry surfs with S7 or S9. Mix it up and keep a log book of what works or not. You'll quickly get a handle on what suits you and the waves you're surfing. I run most of my sup boards as thrusters. Swapped out the shaper s7 center for an s5 on my 8'3" Yob and it livened it right up. I run the same s5 in an older 9'26" C4 Batwing and it's by far the best combo for me. The smaller fin seems to have a lot less drag and with the fin right back in the box still has good drive. How much do you weigh? I run the same set up currently on a 8 vex pro and love the dragless feel and good rail to rail but miss a bit of drive. Might try centre fin further back. You can buy a finbox adaptor box from most surfshops for about $18 from Shapers on the Gold coast or your local surf shop. Fin is held in by 2 finbox screws and I have never lost a fin yet. Move the fin back and forth in the box and enjoy the trials. They can only be used for FCS fins only. No future convertor box made atm. Yes. As wazza66 said they work and are quite reliable. Only 63kg, riding a 7'10" Jacko with same size thruster setup but in Futures. The s5 in the Batwing is a Shapers US box. I find the thrusters easier to lay over than a quad. Noting that all of those boards at around 105l are a little big for me. What S9 s are you guys using ? S9's are a Shapers brand thruster setup. You can buy them in S5 smaller, S7 Medium or S9 Large. S9's are also the same as the well known Jackson Close fin set with his name/signature on them.